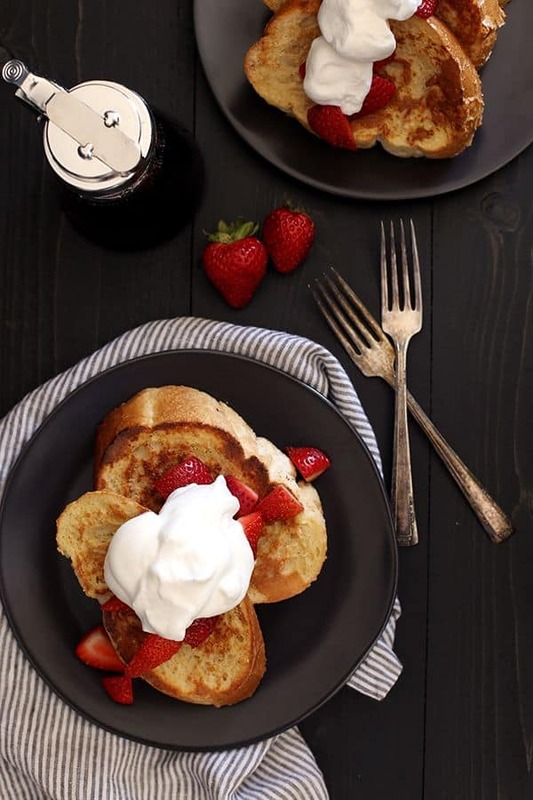 This Vanilla French Toast is guaranteed to become your new favorite breakfast. Thick slices of French bread are coated in an egg mixture spiked with both vanilla extract and vanilla paste and toasted until golden brown. Topped with whipped cream, maple syrup and fresh berries, every day should have such a delicious beginning! This recipe was written in partnership with Rodelle. As always, all thoughts and opinions are my own. Thank you for supporting these brands that allow me the opportunity to create content for Melanie Makes. We’ve gotten into a very delicious habit since moving across the country this summer. On Saturday mornings, we go all out for breakfast. While the menagerie is reading or playing in the living room, I’m whipping up a brunch to celebrate the beginning of the weekend and a looser schedule. Our most requested breakfast? Without a doubt it’s this decadent and delicious Vanilla French Toast. Now, we like our french toast. My Banana Chocolate Chip Fluffernutter French Toast Casserole is always a great way to wake up in the morning. As are my Stuffed French Toast and Sausage Sliders and Sangria Stuffed French Toast. But now we’re really going all out! We have an entire french toast bar set up. Whipped cream made fresh from the dairy delivery earlier in the week, which by the way is a complete game changer when you buy five gallons of milk each week! Lots of fresh berry options – strawberries, blueberries and blackberries. And if I’m feeling super nice, mini chocolate chips. Of course, the requisite maple syrup is also on hand. The perfect finishing touch. 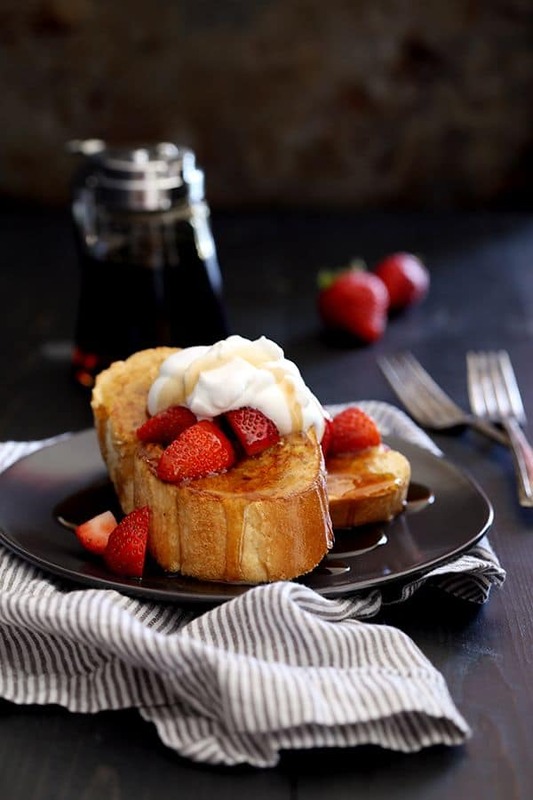 What makes this Vanilla French Toast so special, you ask? Not only does it utilize my favorite Pure Madagascar Bourbon Vanilla Extract from Rodelle, but it also includes their Vanilla Paste as well. I love both of these products so much and always have them stocked in my pantry. Love using vanilla beans? 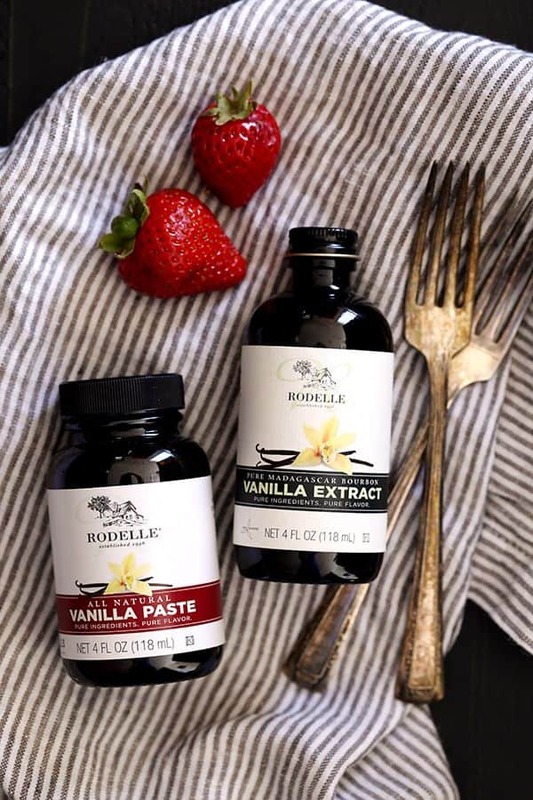 You need to check out Rodelle’s Vanilla Paste! It offers the same deep, rich taste of Madagascar vanilla beans, but without the hassle of the pod. So much easier to use! I promise once you give this Vanilla French Toast recipe a try, your weekend breakfast game will forever be changed! I always try – key word there as the slices disappear so quickly! – to make extra so that we have a few slices leftover for a delicious before school breakfast a few days later. The slices rewarm beautifully! In a blender carafe, add eggs, milk, vanilla extract, vanilla paste and cinnamon. Blend on low speed until completely combined. Pour into a shallow dish. Dip each slice of bread into egg mixture, coating both sides. Cook bread for 2-3 minutes on each side, or until golden brown. Serve topped with maple syrup, whipped cream and fresh berries. In my book, you can’t have enough French toast in your life. You’ll definitely want to give these delicious Pumpkin Spice Bananas Foster French Toast Bites a try as well as these fun French Toast Rollups and this savory English Muffin French Toast with Bacon-Maple Gravy. Perfect giveaway for this time of year and any time of year in my book! Thank you! I like my French Toast topped with bananas caramelized in sugar, vanilla & Grand Marnier, candied walnuts and pure maple syrup! 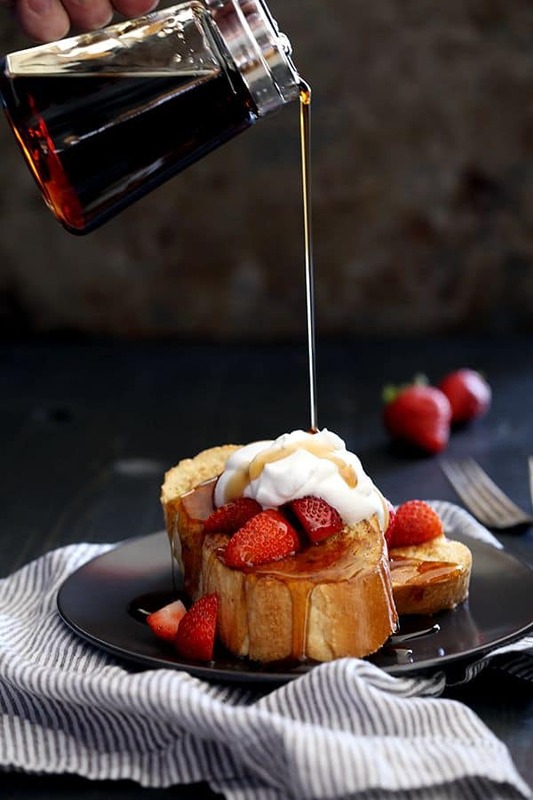 I'm a big fan of Rodelle and an even bigger fan of this beautiful vanilla french toast! That is one gorgeous looking plate of french toast! You're so sweet, Cathy - thank you! My husband would flip over this! We love french toast! So do we, Brandy! Long live amazing breakfasts on the weekend! Sounds like I need to hang out with you all on the weekends! 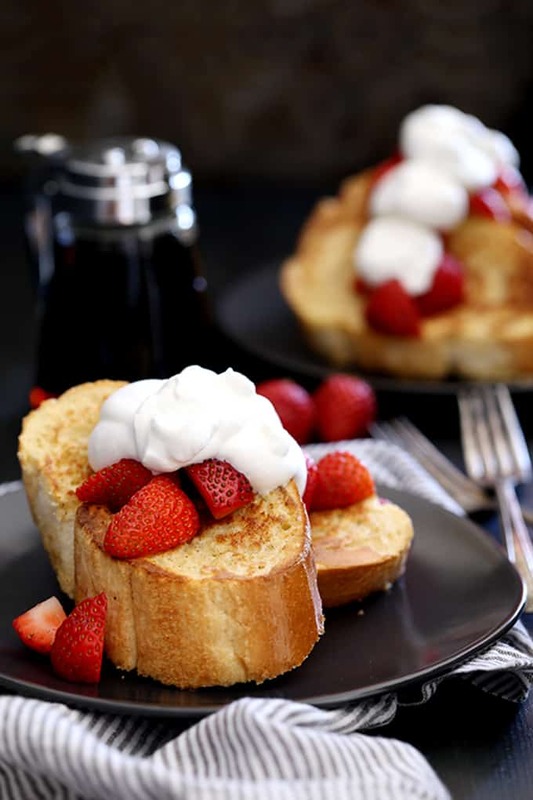 ;) This french toast looks PERFECT. You're so kind, Carrie - thank you! We try to have a big breakfast at least once on the weekend, and this would be a huge hit with the family! Bring on the vanilla....the more the merrier! Great giveaway!